Let's face it. The divorce process is not fun. You might have initiated the divorce but you feel like you had no choice. You might have been served with a Petition and you are feeling hopeless. My charge is to ensure that you get through this process as painlessly as possible. You might have a lot of questions about this process. I can answer quite a few for you. Here is one that many clients ask me. When am I entitled to be divorced? 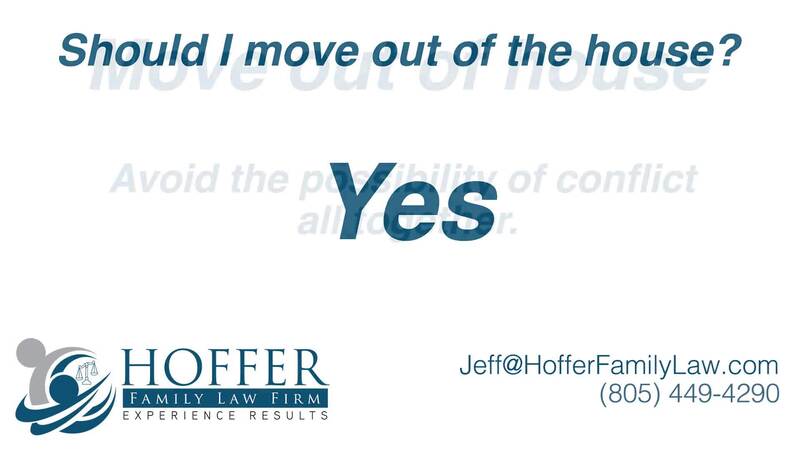 Another question that many people ask me is whether they should move out of the house. There are many opinions on this; however, I believe that the best answer is right here! That is right. THE LOVE IS GONE! The person you are divorcing is no longer your spouse. The love you once had does not translate into good will during a divorce. That means a lot of things. First, it means that you should never let deadlines in your divorce case lapse. You need to always protect yourself. Don't fall victim to the "Good Cop - Bad Cop Scam". Watch this video and you'll see what I mean. 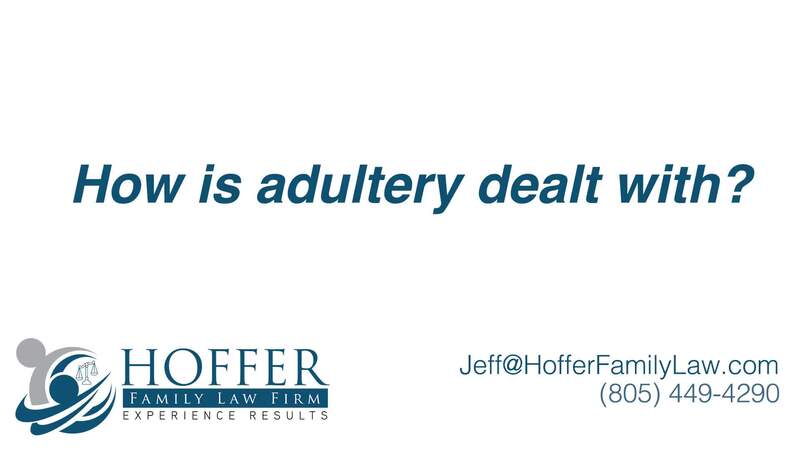 What About Adultery? How Does that Figure in? As you might have heard, California is a community property state. There are tons of rules and cases on this topic. Do you want me to bore you with them on this website? Probably not. But what it does mean is that each of you owns a one half interest in community property which is defined as property acquired during marriage except by inheritance, gift or devise. Both of you are entitled to the management and control of community assets. For example, if you have a joint bank account and you need some of the money in it it, you should probably take what you need or your spouse might get to it first. If you purchased a home during marriage, it is presumed to be community property even though you might not be on title. If you have questions about the nuances of your case, you can call me at 805-449-4290. Let's go back to this issue about not being on title. You or your spouse might not be on the title to your home because one of you might have had bad credit for example. That does not change the community property character of the home. But what if you are both on title as Joint Tenants? That means if one of you dies, then the surviving spouse gets the deceased spouse's interest. Simply put: Husband and Wife own their home in Joint Tenancy and they are going through a divorce. Husband dies during the divorce. That means Wife gets all of Husband's interest in the house. What if Husband did not want that? Could something be done? Yes, but it needs to be done before Husband dies. Here is a great video on that topic! I know that you have many questions. For the effective legal edge in your divorce case, put our team on your side. 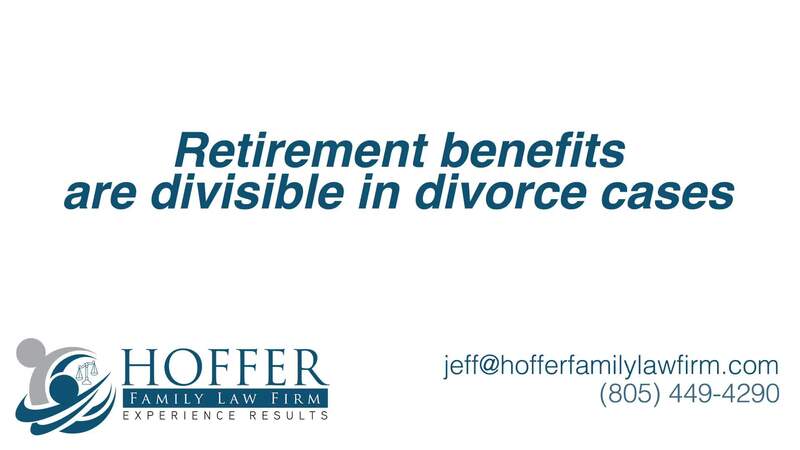 Contact Hoffer Family Law Firm today at (805) 449-4290.